Please join us for the 6th annual Service with Style event on Friday, November 2nd! Service with Style is a luncheon and fundraiser that includes a delicious three-course meal, fashion show, and exclusive pop-up shop from local boutiques Mariel, Icon Suit, and more. All proceeds benefit women served by Volunteers of America. Each ticket purchased will include a complimentary, year-long subscription from our event sponsor, 5280 Magazine. 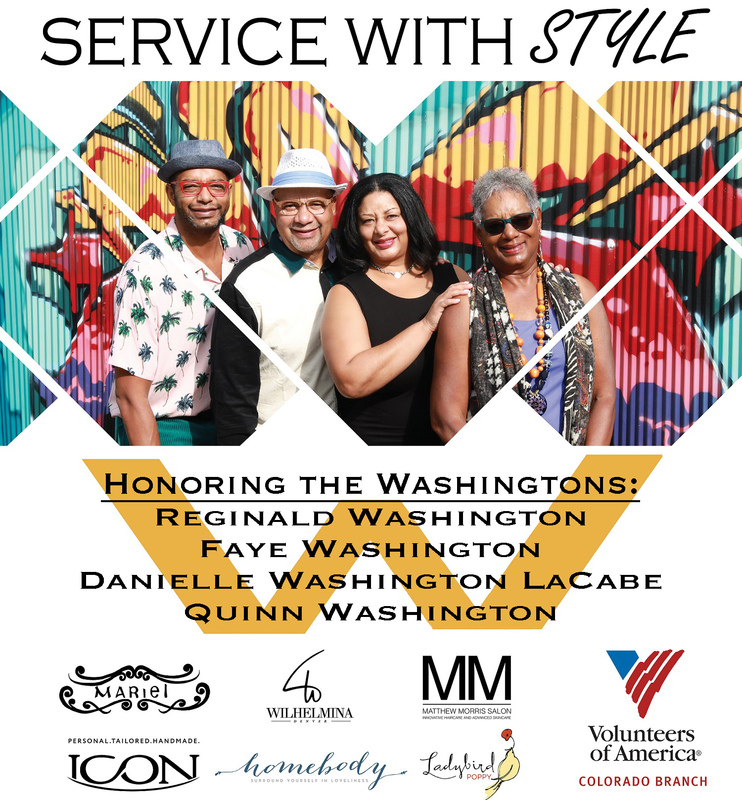 For the first time, this year's Service with Style award honoree is a family – The Washington's. Reggie, Faye, Danielle, and Quinn Washington are towering members of our community and epitomize a unique combination of understated charm, intelligence, humor, strength, and empathy for all. Greeting neighbors and friends, welcoming political notaries, engaging with concierge and wait staff – everyone feels lifted up when they have been around the Washington Family. Their philanthropy in health, arts, and direct human service charities over the decades is a living testament to their compassion for their neighbors in need. Name/logo co-branded with Volunteers of America Service With Style Luncheon. Logo inclusion on event website, with link to SPONSOR website. Name/logo inclusion on press releases sent to local, regional and industry-specific media. Logo inclusion on DVD loop at the event. Two tables at the luncheon (20 seats total). Valet parking for table guests. Opportunity to provide an item in attendee gift bags. Name inclusion on press releases sent to local, regional and industry-specific media. Name inclusion on all advertising/outreach. One table at the luncheon (10 seats total). 10 seats at the luncheon. Align your brand with Volunteers of America and demonstrate your commitment to the efforts of the organization. Mention on Volunteers of America social media as a partner of the event. We are open to other ideas you have that would suit your branding goals.